Rihanna looked absolutely amazing at the 2017 Grammy Awards. The singer turned up in a custom look that wowed on an unusually subdued red carpet. Styled by Mel Ottenberg, the Barbadian superstar wore Armani Privé couture. The look included a crystal-embellished orange crop top with an open back that perfectly showed off her chest tattoo. Her smoky eye makeup matched the voluminous black organza skirt. Orange and black were featured prominently in the brand’s Spring 2017 couture collection. Rihanna wore custom Armani to the Grammys in 2012 as well. 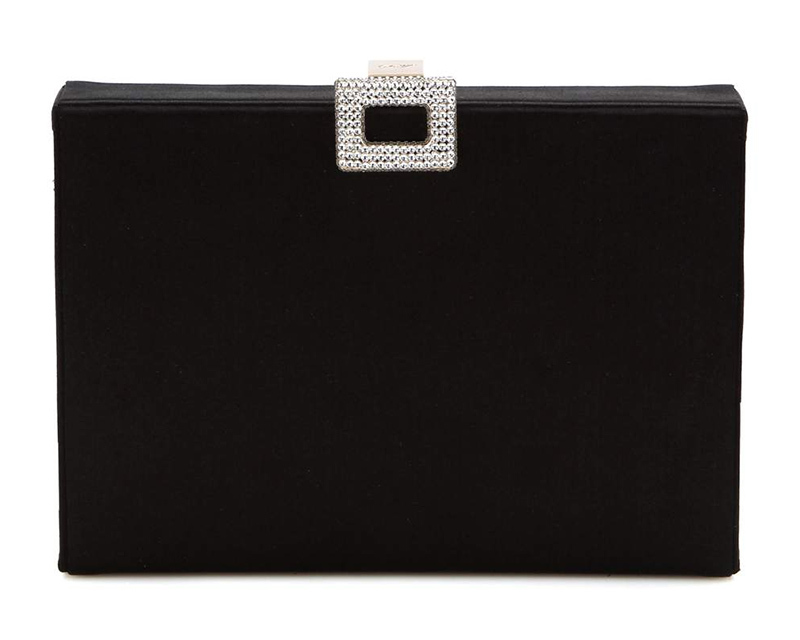 She also sported custom mules by Giuseppe Zanotti and a Roger Vivier satin box clutch ($1,550). Her jewellery included earrings, a ring, a watch and bracelets by Chopard. The L’Heure du Diamant oval watch boasts 18k white gold and white diamonds. It is worth about $180,000. 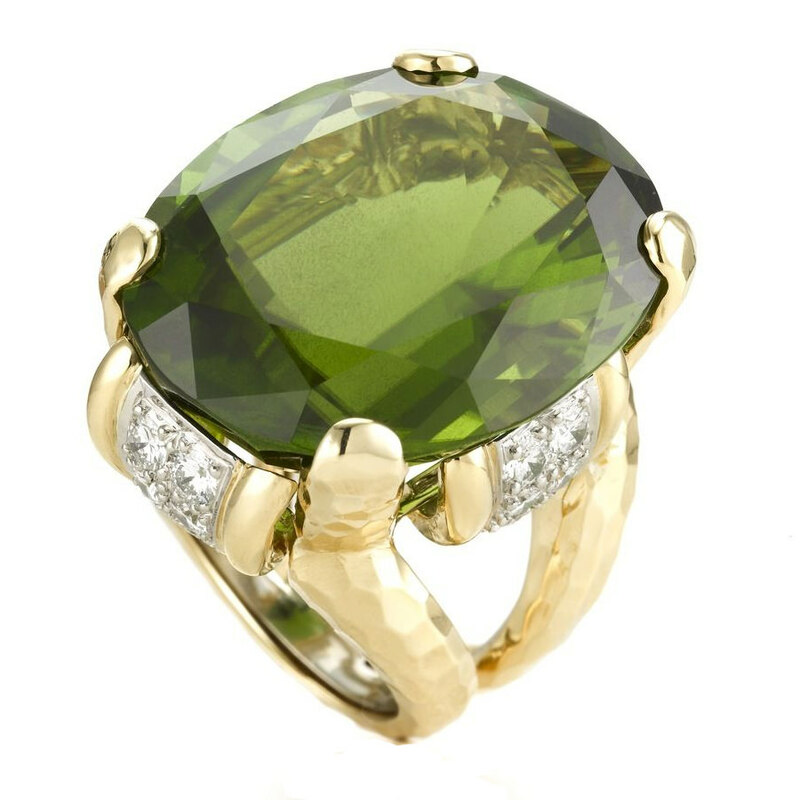 In addition she donned an oval-cut peridot and diamond ring made of 18k yellow gold and platinum by David Webb. It costs $68,000. She also wore a ring from Doyle & Doyle. Rihanna’s shenanigans in the audience were one of the best things about the awards ceremony. She really is living her best life right now. 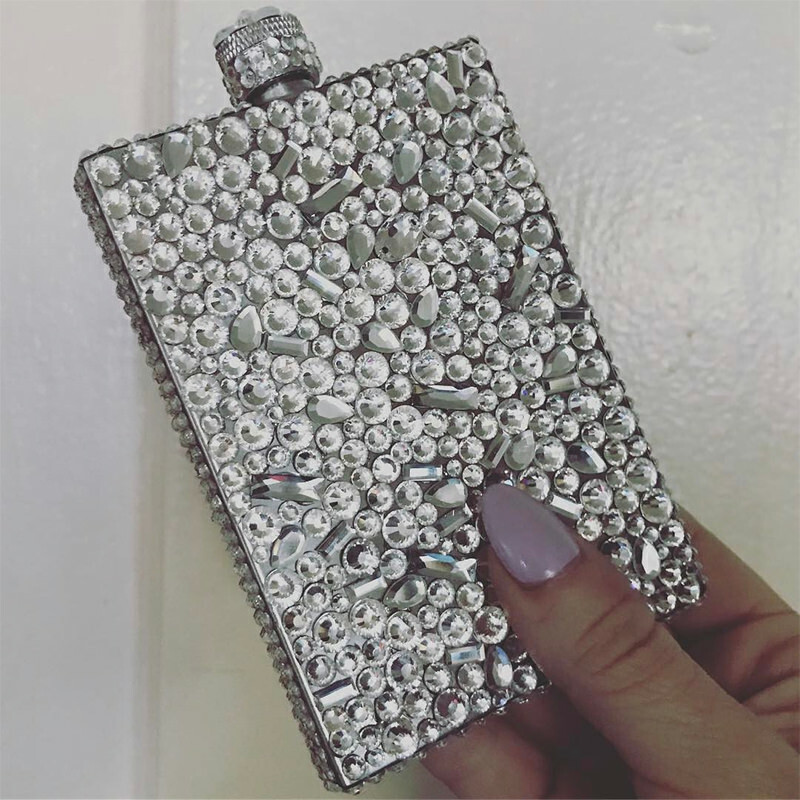 Throughout the night she happily sipped from a bejeweled flask. This was custom made for Rihanna by Rio Warner, the owner of Glitter Death boutique. Warner works as a fashion designer and stylist in Los Angeles.